Meet Fazzino & NFL Players at Super Bowl LI Celebrations! 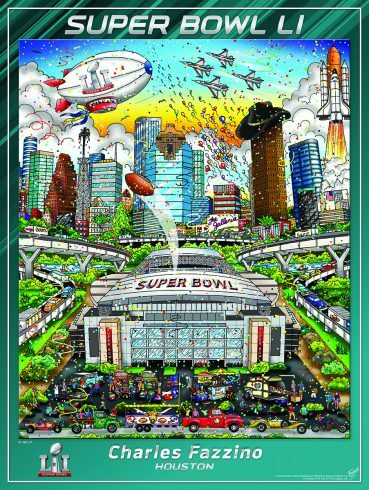 We know the big question on everyone’s mind is “WHERE CAN I SEE THE SUPER BOWL LI ART COLLECTION AND MEET CHARLES FAZZINO DURING SUPER BOWL WEEK.” The “NFL SHOP” at the NFL Experience at the George R. Brown Convention Center, is where. 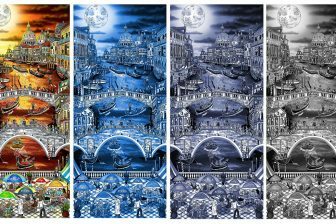 The NFL Shop will feature the entire Fazzino art collection. The Shop opens on Saturday, January 28th and is open through Super Bowl Sunday, February 5th. 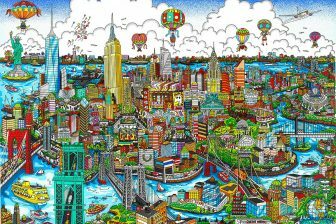 Charles Fazzino will be on hand for several hours each day beginning on Tuesday, January 31st. The collection will also be on exhibit at the Off The Wall Gallery Boutique in the Galleria Mall during the same time period. 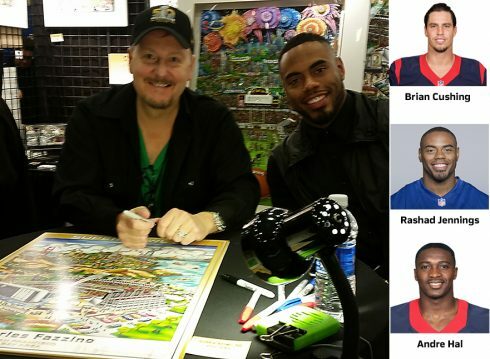 In addition, a few NFL superstars will be stopping by The NFL Experience to sign autographs with Fazzino including Houston Texan Whitney Mercilus (Tuesday, January 31st at 5pm), The New York Giants Rashad Jennings (Wednesday, February 1st at 4pm), and the Houston Texans Andre Hal (Thursday, February 2nd at 6pm). The Store is open to the public and you DO NOT NEED an NFL Experience Ticket to Enter. On Wednesday, February 1st, at 2pm, Fazzino will also conduct an interactive art workshop with a group of hand-picked kids attending the NFL Experience. 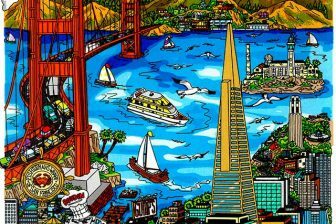 C’mon down and watch with The Master of 3D Pop Art do his thing! On Friday, February 3rd, Fazzino will appear at the Off the Wall Gallery Boutique to sign his Super Bowl LI Collection and on Monday night, January 30th, he will be joined by Houston Texan Brian Cushing at a VIP and Media reception to unveil the collection at Bosscat Kitchen & Libations on Westheimer Avenue in Houston.